﻿ Home - Patrick Senatus, M.D.  Dr Senatus was nominated for the Arnold P. Gold and Physician of the year awards. PATRICK B. SENATUS, M.D., Ph.D.
Dr. Senatus is a Board Certified Neurosurgeon who helps patients with chronic pain and degenerative disorders of the neck and back through the most advanced minimally invasive neurosurgical and spinal procedures. Locations in New York City and throughout Connecticut. I didn’t get into working out until 3 years ago when I lost my father. My therapy was constantly working out and running. Fast forward to a few months ago when I had to cancel running the NYC marathon due to disc degeneration and herniation. I was devastated but Dr. Senatus educated me on what the risks were with my condition. Because of his calm demeanor, bedside manner and expertise I decided to go ahead with a one level lumbar fusion. I am now 7 weeks post surgery and can actually feel my foot. And though I feel I didn’t prepare myself for the recovery process, Dr. Senatus continues to be there for me and my family every step of the way. I will continue praising him as a doctor and as a person. And will recommend him to anyone who listens. Dr. Senatus made us feel so at ease. His humility, compassion, and outstanding bedside manner, and genuine concern about my wife’s condition, with the willingness to take time and listening to all of our questions, was so reassuring that it really made us feel confident in choosing him to perform her surgery. Wayne W.
I would highly recommend Dr. Patrick Senatus. If you’re looking for a Neurosurgeon, Who is professional, knowledgeable, competent and patient look no further. These are some of the qualities that distinguish him from the others. Esther C.
“When I found that I needed surgery on my cervical disk, there was no hesitation. I traveled over 1200 miles to return to the doctor who healed my lumbar spine. Dr. Senatus and his staff are like no other.” Bonnie B. As a Healthcare Executive I can assure you it is extremely rare to find an exceptionally trained and talented neurosurgeon like Dr. Senatus who has such an outstanding bedside manner. Robert C.
Take the first step and contact our office today.